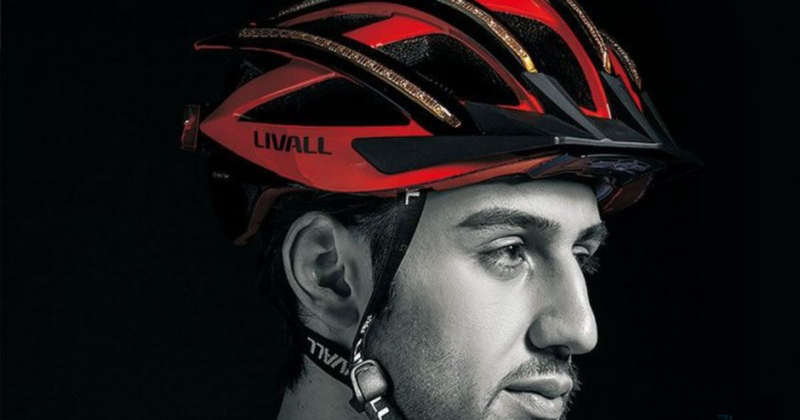 Bike helmets are having a moment of revolution. This one keeps you safe, visible, and in touch (via Bluetooth and a microphone) with fellow riders or anyone holding a phone. 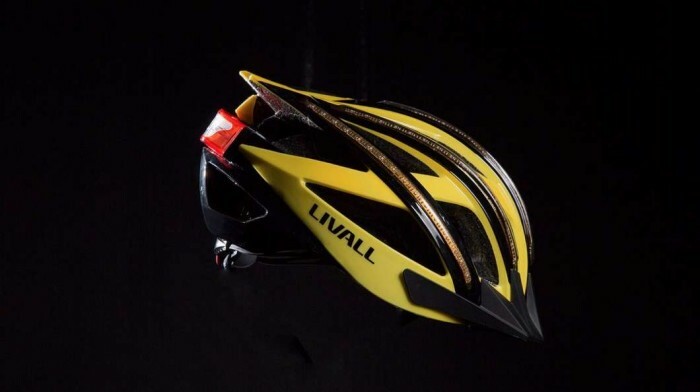 Last week, we reported on a helmet with brake lights, and now this: The LIVALL Bling Helmet has safety lighting, a microphone for communicating with other cyclists, a bluetooth speaker, and a crash sensor that notifies contacts in the event of an emergency. It all works through your smartphone’s Bluetooth connection. 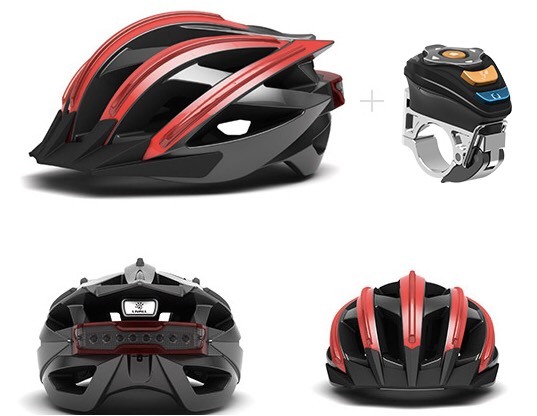 The microphone and Bluetooth speaker let you answer or make phone calls or use the helmet as a walkie-talkie with other riders in your group. Text messages sent through the LIVALL Riding App are converted into voice messages for bikers that are in riding mode. In the event of a hard crash, a sensor in the helmet that measures acceleration can send an SOS alert to your emergency contacts. For visibility, the helmet has LEDs to make it stand out in low light for pedestrians and drivers in cars. All functions are managed through a bar-mounted controller (see image above) that acts as an interface between your phone and the helmet. These helmets are interesting and unique, but still unproven. It’s great to see innovations in the category coming from unknown manufacturers while major gear companies are slow to implement sweeping changes. 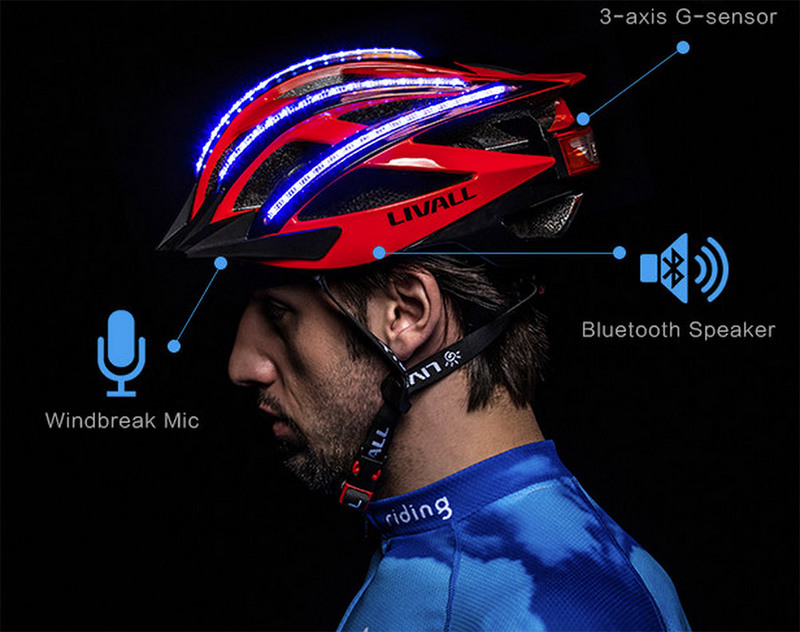 The Bling Helmet is available now on Indiegogo, where it has raised nearly $150,000. You can order one for $160, which is a deal considering the company’s planned MSRP of $356 when it hits the mass market next year.